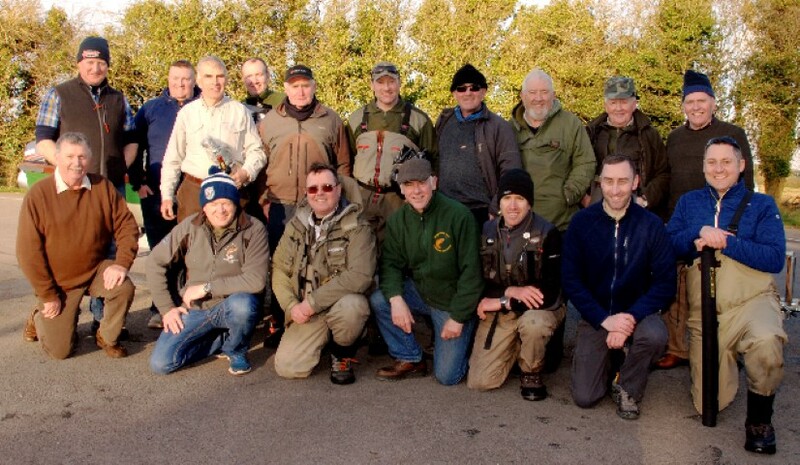 GARDA ANGLERS ON OWEL: The Garda Trout & Salmon Anglers hosted a fly-fishing competition last week on Owel and some nice trout came on line. 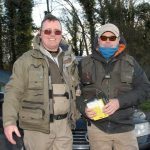 Top rod was Garda Damien Barron of Kilcormack in Co.Offaly who boated 6 fish tallying 12.03.6lbs; Garda Seamus Kelly of Galway was 2nd with 4 trout tallying 9.00.4lbs and 3rd was Garda Diarmuid O’Donovan of Kildare with 3 trout totaling 6.13.0lbs. 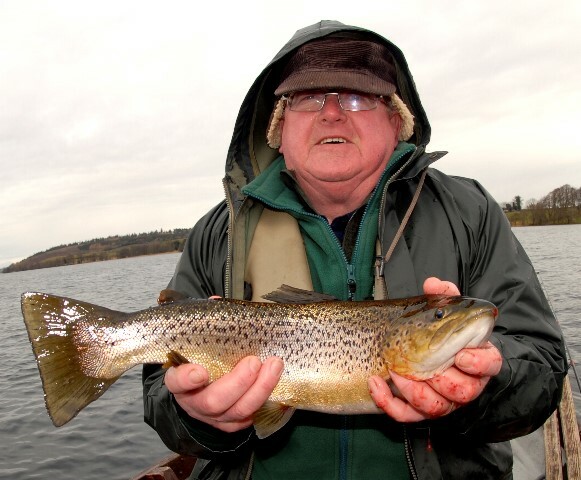 The heaviest trout of the competition was a cracker boated by retired Garda Gerry Feeney from Athlone. 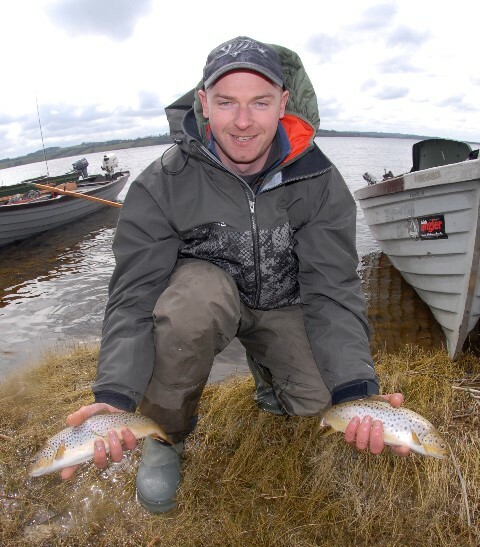 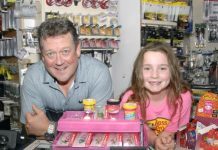 Phil Donoghue, Garda Trout & Salmon Anglers club secretary told Angling Focus that sinking lines and flashy lures such as Minkies and Humongous flies did the business. 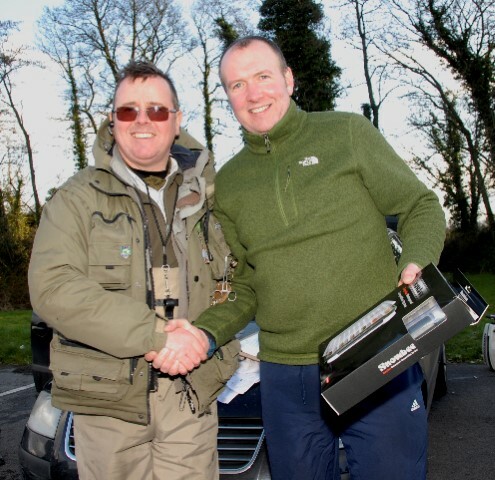 Phil also thanked all Garda members who competed and gave a special thanks to Jack Doolan who had boats at the ready for the Garda members. 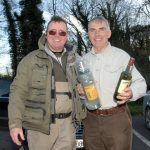 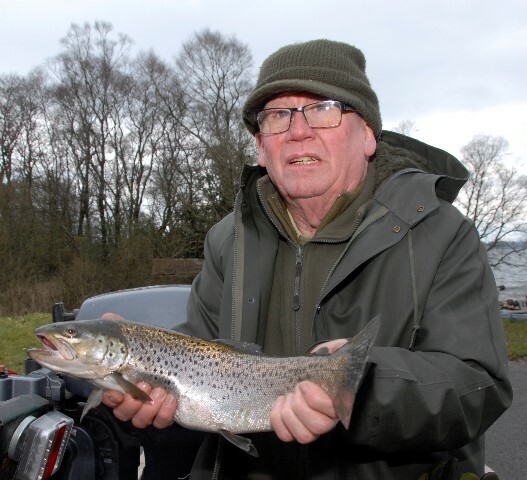 FULL RESULTS & WEIGHTS BY PHIL DONOGHUE/ GARDA CLUB SECRETARY: Trout and Salmon anglers on Owel: Springtime competition fished Wednesday 28th of March. 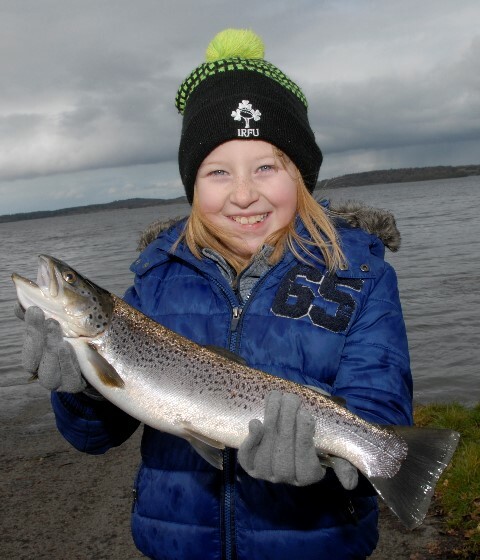 30 anglers caught 36 fish. 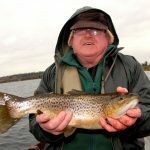 The heaviest fish was 3.10.0 lbs. 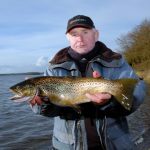 Anglers who caught their limit of 2 were awarded 2lbs for any additional fish landed over the 14 inch limit, these fish were returned to the lake and their combined weights are here below. 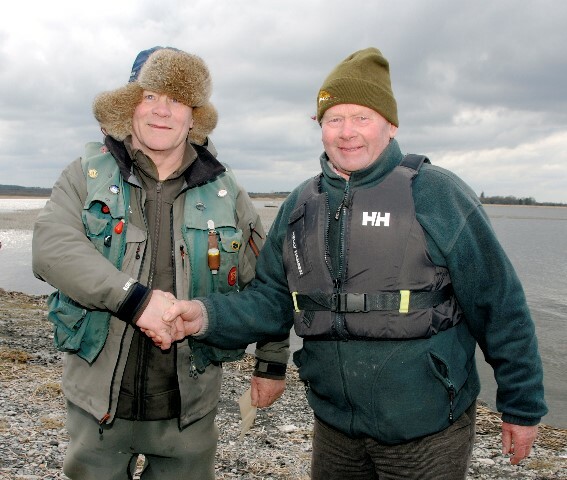 OWEL PLEASURE ANGLERS: We met a few great Mullingar angling characters last week while out and about on Owel. 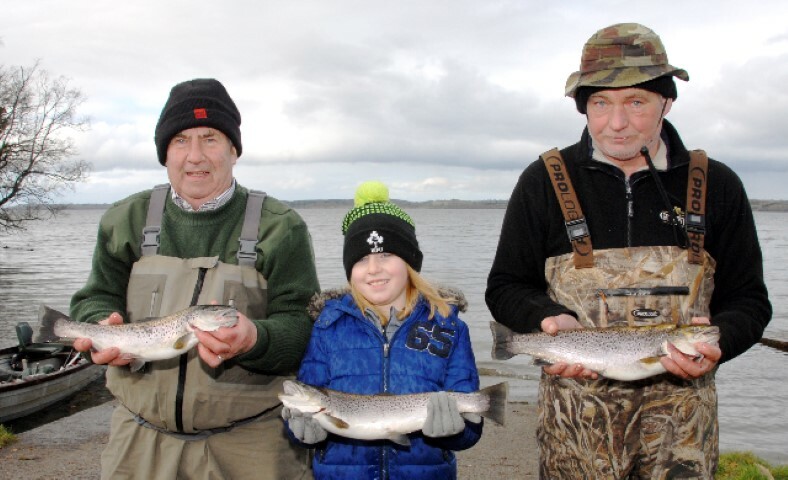 Charlie Greville and his angling pal John Dooner had some nice fish on the troll, but it was John’s granddaughter, Lauren Deacey, who shone on the day. 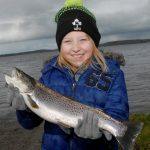 Lauren was enjoying a day on Owel during the Easter holidays and I am sure we will hear more from this young angler as we settle into the 2018 season. 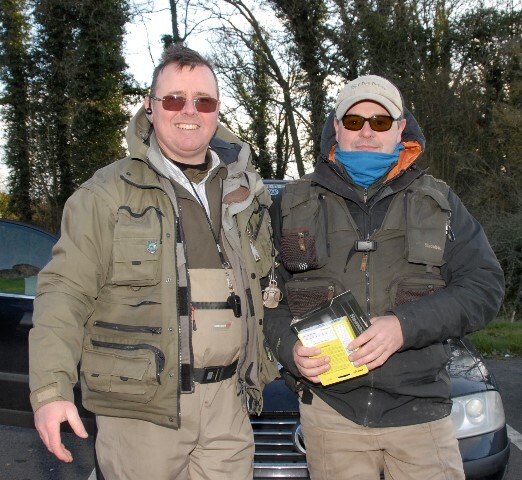 Danny Cole and Tony English also braved the chilly waters on Owel and were rewarded with some beautiful catches. 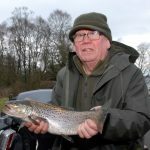 Tony had a trout over the 3lbs mark and the fish was in mint condition. 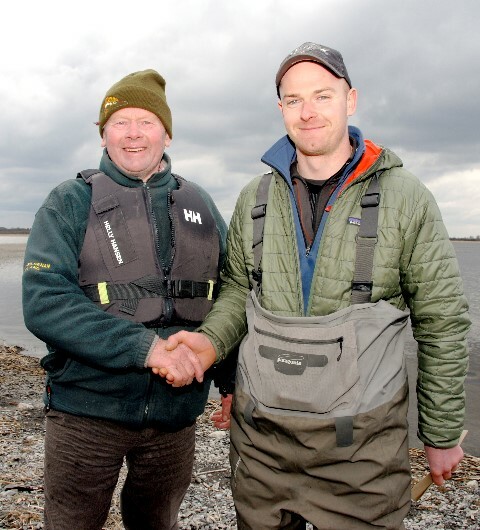 Quite a few Owel anglers are starting to put out their boats at Tullaghan and it’s looking good for the up and coming first competition of the season hosted by Lough Owel Trout Preservation Association. 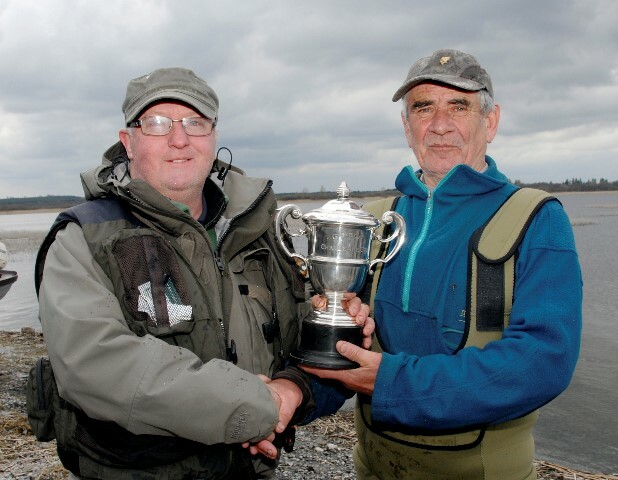 The Ace Cup fly-fishing competition is penciled in for April 15th, there will be more on this in next week’s angling report. 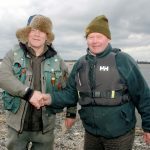 L.O.T.P.A is open for membership and new members are more than welcome to jump on board. 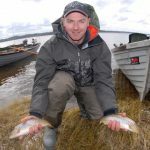 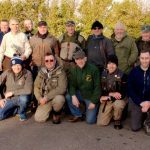 DERRAVARAGH / ABBOTT CUP: Lough Derravaragh Angling Association hosted its first trout fly-fishing competition of the 2018 season last weekend on Easter Sunday. 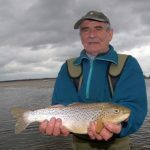 Conditions were good for fly fishing but there was a sharp old breeze crossing Derravaragh with little or no fly life on the lake surface. Still, the Derravaragh anglers dug deep and the few anglers that competed produced 5 trout. 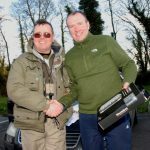 Multyfarnham “Hot Shot” Christy Cox teamed up with Derravaragh Chairman Liam Gilsenan and produced the winning trout of 2lbs 4oz. 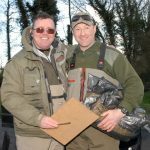 I hooked up with Ciaran Newman of Lynn Cross here in Mullingar and Ciaran boated two fish, taking 2nd place with 1lbs 14oz. 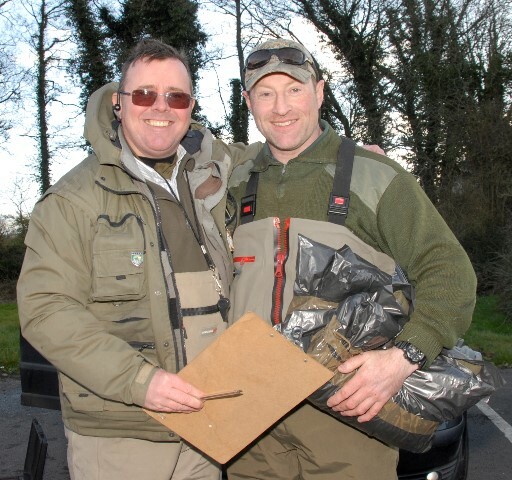 Keith Fleming traveled down from the North of Ireland and finished 3rd with 1lbs 2oz. 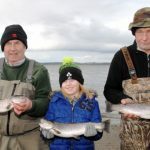 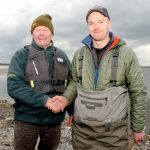 The presentation took place at Donore shore and Liam Gilsenan, Chairman of Derravaragh Angling Association, thanked all who fished the first fly competition of the season. 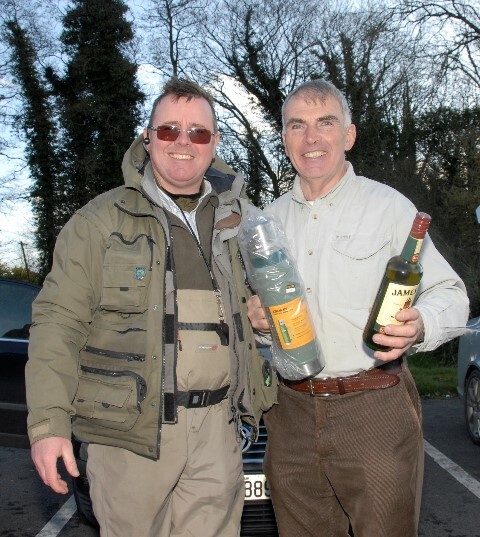 Derravaragh Angling Club is open for membership and this season’s membership is set at 25 Euro for senior anglers. 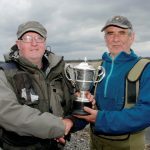 LENE NEWS: This coming Sunday, April 8th, Lough Lene Angling Association host the Peadar Caffrey Memorial Cup. 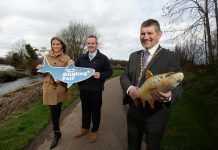 This fly only competition will be fished from 11am-6pm from Fagan’s Point and is sponsored by Topline Murphy, Castlepollard. Lene is producing some lovely rainbows and last week Lene Vice Chairman, Frank McKeown, had a cracking brown trout of 3lbs 7oz.